With a variety of hand weights, an adjustable step bench, two stability balls, a Gazelle, a pole, a foam roller, a pull-up bar, and a range of exercise DVDs in my bedroom, I am well on my way to having a full-fledged home gym. It rocks! I have lots of fun options and no excuses to miss my workout. Of course, I’m always on the lookout for more tools that’ll keep my workouts fresh and encourage me to move no matter what the circumstances. That’s why I’ve been intrigued by the Wii Fit. My BF and I have been talking about getting one, but the cost is prohibitive right now. 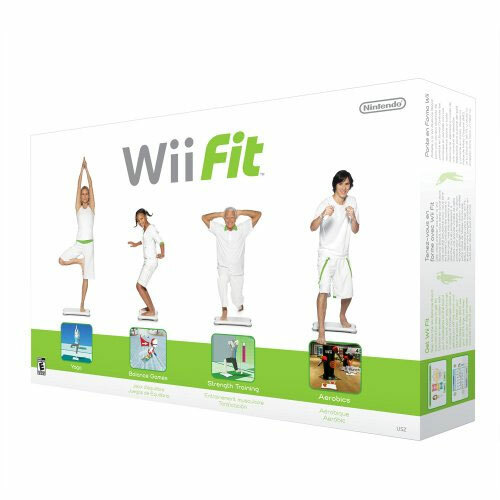 Our Wii Fit investment has just gotten bumped up the savings chain, though, now that I know one guy lost 15 pounds in 41 days using only the Wii Fit. Supposedly he didn’t change anything other than his physical activity, and the result was dropping 15 pounds in just over a month. Not bad at all! He’s even got video evidence of his before and after physique as well as what it was like to take the Wii Fit on the road in his RV. You gotta love the web! Entry filed under: burn more calories, exercise equipment, news around the blogosphere. Quick & Easy Low-Cal Dinner Ideas	We’re back!